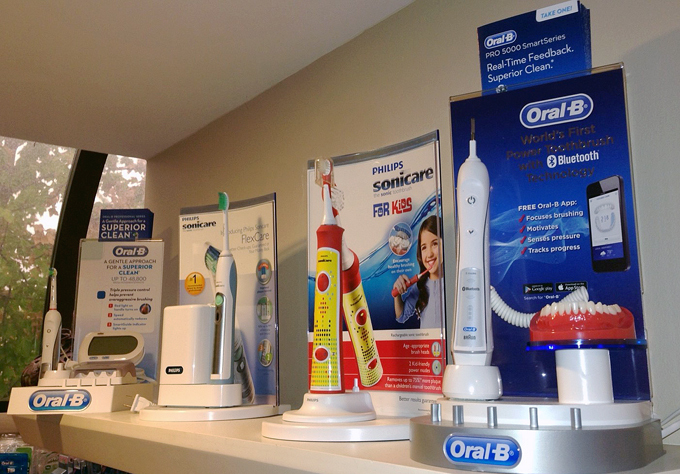 Our office stocks a host of professional dental products for our patients made available at our cost. Products like WaterPik®, Oral-B®, Sonicare™, Crest®, G-U-M®, CariFree® products, etc. are available to help improve your smile and keep your mouth healthy. Note: Products in “stock” may differ from the above photos. Inquire during your next appointment.